Over the past few weeks, almost all automobile manufacturers ran ads in newspapers giving a final chance to buy your dream vehicle at lower prices before the 1st July Excise Duty hike. AutoColumn spoke to a few automobile dealerships, and confirmed that they did see a spike in bookings over the past few weeks. We are pretty sure that this news comes as a relief to many buyers. 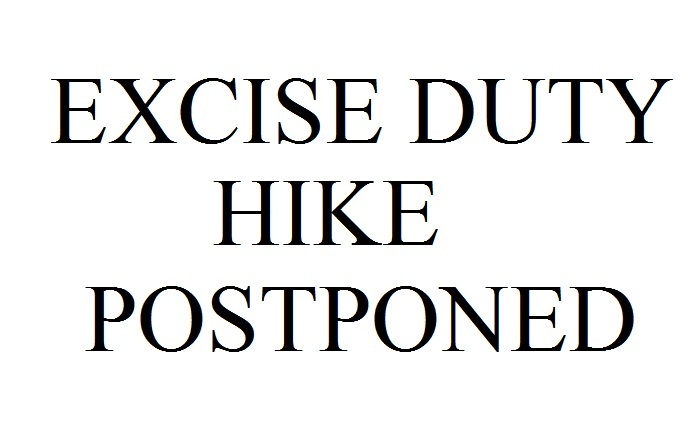 The current Excise Duty structure on automobiles can be viewed in detail here. Mr. Vikram Kirloskar, President, SIAM has warmly welcomed the new Government’s decision to extend the reduced Excise Duty benefits for the Auto Industry for six months. The quick and timely action taken by the Government is an indication of the high level of responsiveness of the new leadership to the needs not only of the automotive industry, but of the manufacturing sector as a whole. “We are certain that the extension of the reduced Excise Duty will contribute positively to improve the buyer sentiment and would help in bringing about a sustained recovery in the automotive industry that has been languishing for over two years now. This will go a long way in bringing back growth, investments in the industry as well as encourage higher employment.” “On behalf of the entire automotive sector, I would like to thank Government for their very timely and supportive role”, Mr. Kirloskar added.